Q.1-5.In each of the following sentences there is one blank space. Below each five words have been denoted by numbers (1), (2), (3), (4) and (5). Find out which word can be filled up in the blank in the sentence in the same sequence to make the sentence meaningfully complete. Q.1. Her friends had nothing to offer her other than —————— in her grief. Q.2. The great king Ashoka's behaviour is worthy of —————— by all the youngsters. Q.3. With old people he was as considerate as a son and with children as —————— as a father. Q.4. Only students who have studied Psychology are ————— to apply for the post. Q.5. Finally the prizes were ———— to all successful participants at the hands of the chief guest. Q.6-10. Rearrange the following sentences (A),(B),(C), (D) and (E) in the proper sequence to form a meaningful paragraph, then answer the questions given below them. (A) However, there were big multi brand retail outlets owned by Indian entities. (B) Till now FDI was not allowed in multi brand retail. (C) This means that global retailer can come to India. (D) The Government has decided to allow Foreign direct investment (FDI) upto 51% in multi brand retail. (E) With a local partner and set up stores in the country. Q.6. Which of the following would be the FIRST sentence after rearrangement? 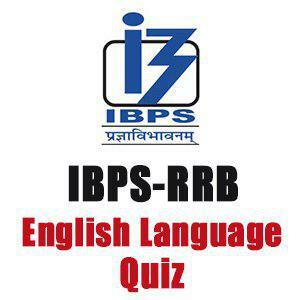 Q.7 Which of the following would be the SECOND sentence after rearrangement? Q.8. Which of the following would be the THIRD sentence after rearrangement? Q.9. Which of the following would be the FOURTH sentence after rearrangement? Q.10. Which of the following would be the LAST sentence after rearrangement? Q.1. (2) Consolation – to give sympathy to someone at the time of his advise situation. Q.2. (2) Emulation – to copy someone to become like him. Q.4. (5) Eligible – who meets the required qualification.